A reusable hook made of a unique suction sheet called "PitaSheet", which adheres well to smooth surfaces. 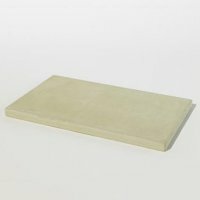 These are solid mats made of diatomaceous earth. The mats absorb water from your feet after a bath and also ensure your feet are dry as you step off the mat. Take it to the park, the beach, on holiday, to work. You need WOW wherever you need your music. Compact, durable, wireless, easy to connect and recharge, WOW makes all your music portable. Big on sound, WOW wirelessly streams music from any Bluetooth device. New Bath mat Light is upgraded with pulp, which results in a stronger and lighter form even if you let it drop, it will not break! Different from conventional soap dishes " Soil " soap dishes absorb soap moisture, and remain clean and dry. The soft thomy projections support a soap gently. 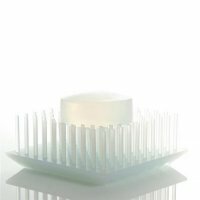 Even if place a wet soap, since water drains away very soon it is not sticky, so you can use it confortably. 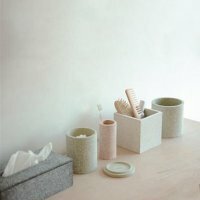 Soap dishes made of diatomaceous earth and gravel are treated with a sakean washout finish. 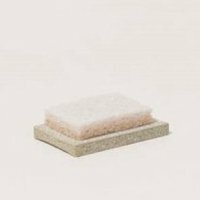 Sponge trays made of diatomaceous earth and gravel are treated with a sakan washout finish, and absorb water from sponges for washing the dishes. 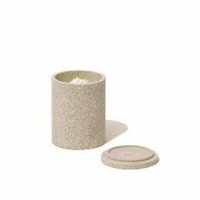 Dispenser trays made of diatomaceous earth and gravel are treated with a sakan washout finish. Setting dispensers for hand soap and lotion on the tray keeps the washbasin neat and tidy. 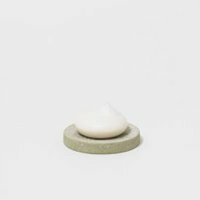 Our toothbrush stands are made entirely of diatomaceous earth and are treated with a sakan washout finish. 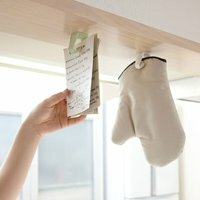 Clip is useful for keeping kitchen cloths and rubber gloves etc. with one hand. The design of the container base makes it easy to pick up a single bud holds up to 200 buds. Using below links you can download our catalogues. These catalogues in PDF-format will open in a new browser window. PA is available for Benelux only! To find a reseller in your region, please check the page showing our Distributors and Agents.